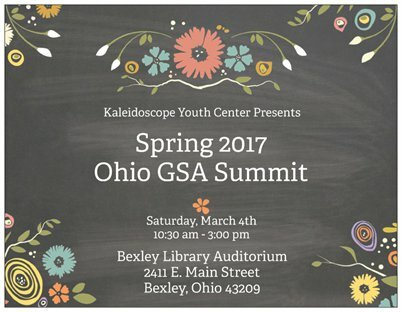 Students, youth leaders, GSA advisors and youth-serving professionals are invited to our Gay-Straight Alliance Summit! Youth Leadership Council and staff are working hard to bring a day of learning and networking. The morning and afternoon breakout sessions are designed as youth-only and adults-only spaces for learning about the issues and concerns that are unique to each group. The joint session will allow participants to come together for a dynamic, cross-generational conversation. The event is a youth-led, free event! Space is limited so please register today! Interested in learning more about KYC's GSA Summits? 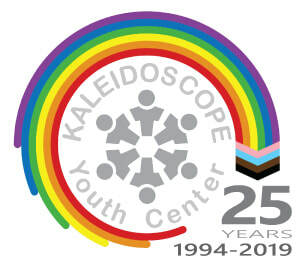 Email Danielle at Danielle@kycohio.org or call at (614) 294-5437.